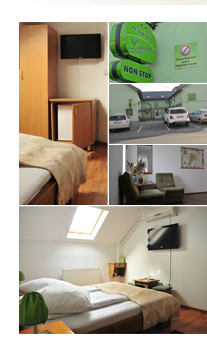 Laura Pension is placed in Sibiu, 200m from DN1 (E81), near the entrance from Brasov and Ramnicu Valcea. Situated in a quiet area the pension offers excellent conditions for tourists to spend holidays, celebrations or the weekend in a medieval city. Pension Laura is the best choice you can make in terms of spending your free time together with family or friends. The pension represents a unique location, a warm space, a framework that satisfies all claims because of the highest quality and because of the place where is located. Guesthouse, opened in 2006, has its own parking lot with surveillance. Sibiu is one of the few cities in Romania still retains the charm of medieval. Located in the center of the country, in southern Transylvania, 20 km from spilling into Cibin Olt, Sibiu is distinguished by elements of architecture, monuments to famous towers Gothic-Baroque-style house. » Muzeul Astra "Dumbrava Sibiului"
Copyright ©Pension Laura. 2009 - 2019. All rights reserved.